Shanghai 18, will have you wonton more. While slurping your soup might conjure the image of a sloppy ill-mannered child in the English dictionary, it is the highest compliment in Chinese culture suggesting gracious satisfaction. And there is nothing sloppy about the composition of Shanghai 18’s handmade noodles, which is why you’ll hear a lot of slurping when you enter the restaurant. Having just opened on Sussex Street (near the corner of Druitt Street), Shanghai 18 is an up and coming local spot for dumpling and noodle lovers alike. With the capacity to seat up to 52 people and featuring two TVs for sport and entertainment, restaurant owner George Shi has created a relaxed dinner and drinks setting. In the kitchen, Chef Meng works hard pulling and stretching oodles of handmade noodles. Having worked for many years throughout kitchens in China, Chef Meng is well versed with creating traditional Shanghai fair. The timber tables are set with a toothpick holder, a tissue box and the staple condiments including soy sauce and vinegar. Before you even know what to order, tea is ceremoniously plonked on the table and white porcelain bowls are tossed towards you. From the high ceilings, ornamental carp covered chandeliers dangle and maroon painted walls clash to create a dated design. Despite receiving due warning from the staff that the Mapo Tofu ($13.80) would be ‘too spicy’, it was the first thing we ordered and unfortunately lacked in the foreboding spice. While the dish had a smoky fragrance and soft trembly tofu bathed in velvet chilli oil, it didn’t live up to the expectation of a tongue tingling sensation expected from a dish loaded with Sichuan pepper corns. 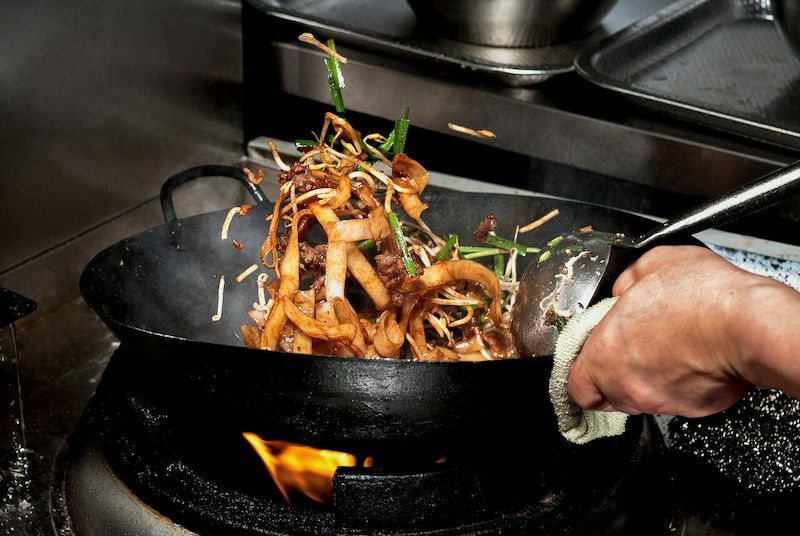 You are better off inhaling a big bowl of the Fried Noodles ($14.80), that are chewy, bouncy and hand-cut in varying textures and sizes. The noodles are tossed with capsicum, Chinese cabbage and chicken and while it may not look especially refined, it’s exactly what you need. The Peking Duck Pancakes ($10.80) delivers a delectable original, succulent duck and crunchy cucumber glistening in a sticky hoisin sauce and wrapped neatly for finger food convenience. The best dumplings on the menu are the Pork Xiao Long Bao ($9.80), which are enveloped in an almost translucent wrapping precariously containing hot pork broth. You can’t go wrong with this humble Shanghai classic that looks like something crossed between a deflating balloon and a hipsters topknot. To drink, Shanghai 18 offers a selection of fruity Australian wines such as the Red Hill Estate Pinot Noir ($13 per glass), which pairs well with the bold Asian flavours. Similarly, it’s hard to go past a Tsingtao beer ($7) to wash down your dumplings. 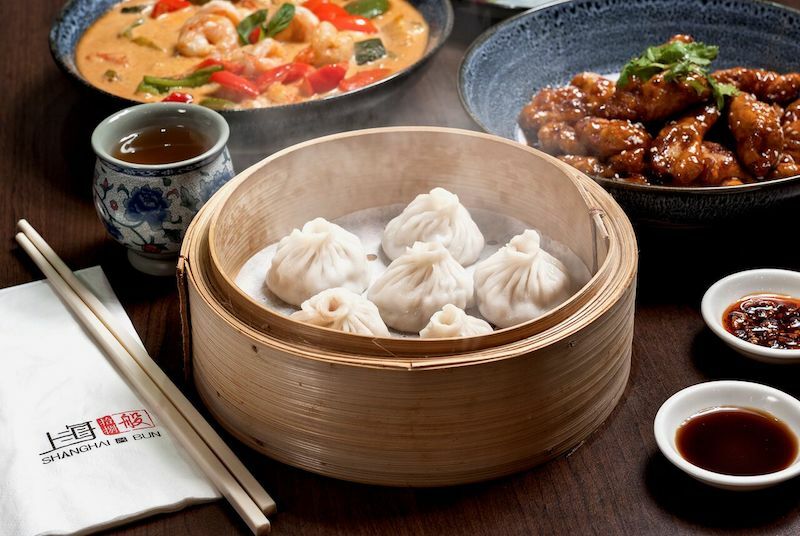 During November 2018, Shanghai 18 are offering $5 beers with any order of dumplings on weeknights from 5pm-7pm. Next time the 9-5 grind gets you down, get a steaming bowl of beef soup with handmade noodles. When it hits your table we guarantee that you’ll happily slurping too. Check out the full menu here, or head to the website for more information.